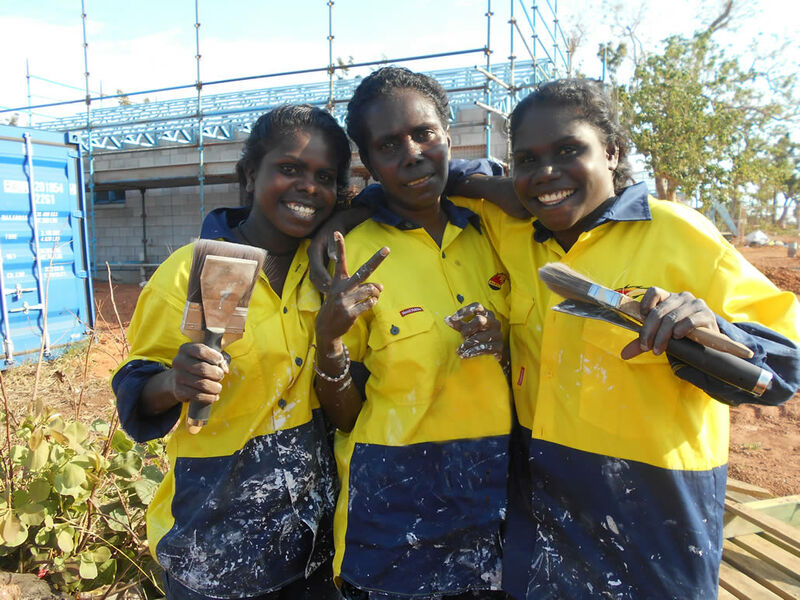 The community of Galiwin'ku has turned the devastation of Cyclone Lam into a training and employment opportunity. Hundreds of homes were damaged and almost 250 people were displaced when the cyclone hit Elcho Island in north-east Arnhemland last February. Arnhem Land Progress Aboriginal Corporation (ALPA) has created employment opportunities through labour hire arrangements and other employment arrangements with contractors in the cyclone rebuild phase. Between 1 July 2015 and end of February 2016, ALPA placed more than 200 people in work across a range of skill sets including building and construction, concreting, conservation and land management, horticulture and cleaning. The employment model was developed as part of a project with the Department of Business to structure employment in a way that works for remote communities. ALPA also puts workers through a skills development pipeline to help obtain permanent employment for the workers. ALPA's track record in training was cemented in 2015, with the small organisation winning 'Employer of the Year' in the NT Training Awards, almost nudging out multi-national heavyweights McDonalds and Crown in the national round. Arnhem Land Progress Aboriginal Corporation has created employment opportunities for over 200 people.